It was not until I lived in Germany that I discovered roasting. 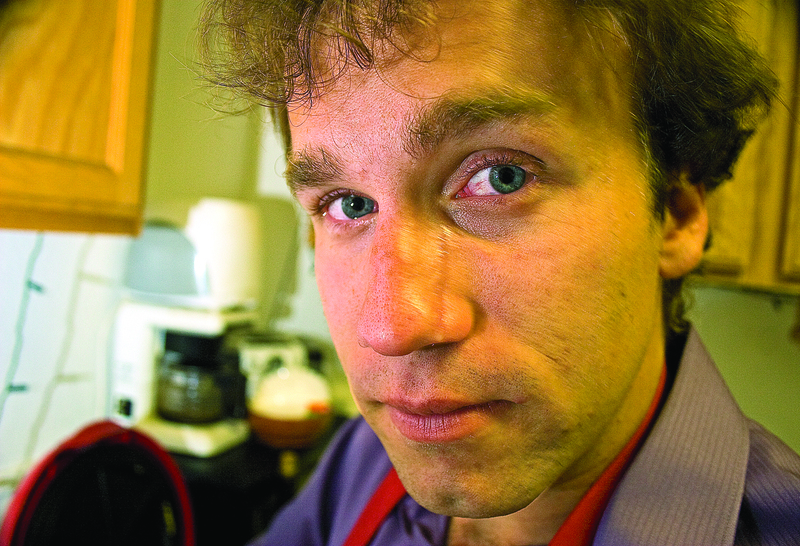 It started out innocently enough, with the topic of this cooking column: cauliflower. It quickly progressed to all sorts of root vegetables I didn’t even know existed or only had peripheral contact with: kohlrabi, rutabega, mangelwurzel, beets and all sorts of other in-ground vegetables. We even had purple carrots. They are a thing. I was living and working as an au pair: a nanny with more responsibility and less pay who lives with the family. A good portion of my day was cooking dinner for the family which meant I was responsible for using the produce that came to us once a week in a green milk crate, filled with mostly-local vegetables. Since we were in Dresden, that meant bushels, or at least, parts of bushels, of root vegetables with a few delicious apples thrown in and a banana or two. When the family told me the name of a white-fleshed vegetable with a waxy outer skin, I was incredulous. I went straight to my German-English dictionary and looked it up. Sure enough, there kohlrabi was, staring straight back at me. Same word, same vegetable. The problem was not with the name or with the word: it was with my own exposure to the wider world of white-fleshed edibles. I started roasting with the cauliflower by cutting up the florets, tossing them with olive oil, salt and pepper. I would line the baking pan with parchment paper, one of my favorite things. From cauliflower, I moved on to the other vegetables at our disposal. Instead of allowing them to sit for weeks on end, unused, I would , depending on the vegetable, skin them, cut them into equal-sized slices, toss with olive oil, salt and pepper and then roast. Those others were the aforementioned beets and rutabagas, mangelwurzel and kohlrabi. One of the problems I had, and I’ve received emails from readers expressing the same after having tried the recipe, is the cauliflower is gone too quickly. I would start putting the meal on the table and by the time I had sat down, most if not all of the cauliflower would be gone. There are a few considerations when roasting veggies like these. The first goes to the oven. Each oven is vastly different and there are no be-all end-all instructions for how one’s oven works. I know my (electric) oven needs to be cranked up much higher than my friend’s gas oven. In Germany, I always had a problem with getting hit by steam accumulating in the oven. With my own oven, I have no such issues, although that could partly be due to placement in relation to my own face. 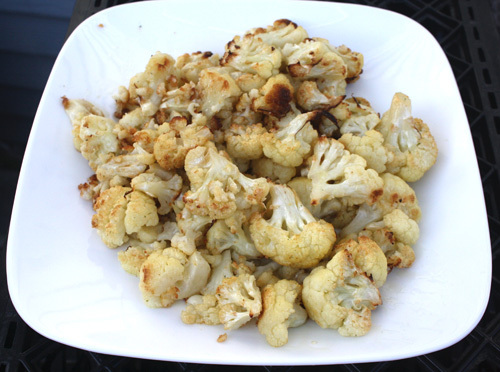 Cauliflower and other vegetables should be turned, at least once, through the roasting process so they do not burn on one side. Other special attention should be paid to the thickness of root-vegetable slices: they should be uniform. If they are not, one should expect to pull some of the pieces out before others. 1. Strip the cauliflower of its remaining green leaves and then cut up the cauliflower, into florets of desired size. 2. Put florets into a large mixing bowl. Pour olive oil over. Toss to coast. Put salt, pepper on the florets. Toss. 3. Put the florets, in a single layer, on a parchment-paper covered baking sheet. 4. Bake for 25 to 30 minutes until cauliflower is of desired crispness and is browned. Consider turning the cauliflower mid-way to prevent burning. Time will increase, as will steam, if more than one baking sheet is being roasted at a time. 5. Serve and don’t, like me, grab the metal with bare hands. That’s just dumb. This recipe, although not the column, was originally published in the Nevada Appeal on April 24, 2013.